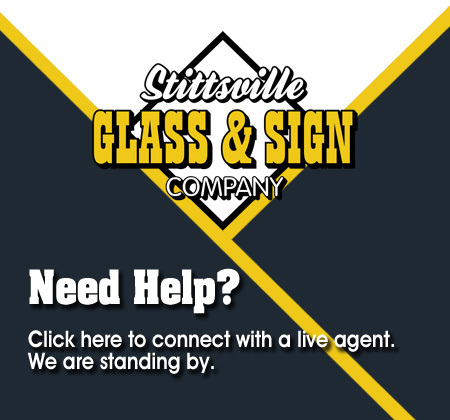 Welcome to Stittsville Glass & Sign Co. Ltd.
Our family owned and operated business located in the heart of Stittsville opened its doors on May 1st 2000. With over 30 years of experience in the glass and sign industry, our friendly and professional staff have the expertise to satisfy your needs. We offer three businesses under one roof. 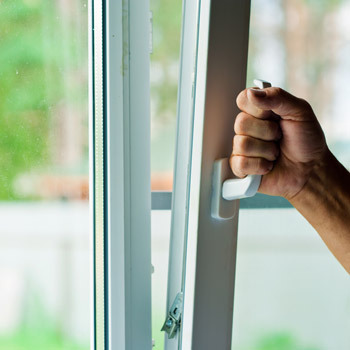 We have a full service glass company specializing in window glass replacement, repair and service for both commercial and residential properties. We also provide many services in house, such as screen repairs, custom table tops, custom cut mirrors as well as an extensive selection of parts for both windows and screens. Our full service sign shop offers, custom vehicle lettering and graphics, banners, magnetics, and a variety of options to create the perfect sign to suit our client's needs. We are honoured to be part of this community and take great pride in showing our support for community events, local sports teams and fundraisers. We have always maintained a very high level of customer service which is reflected by our A+ Rating with the Better Business Bureau. The small business with a big heart.